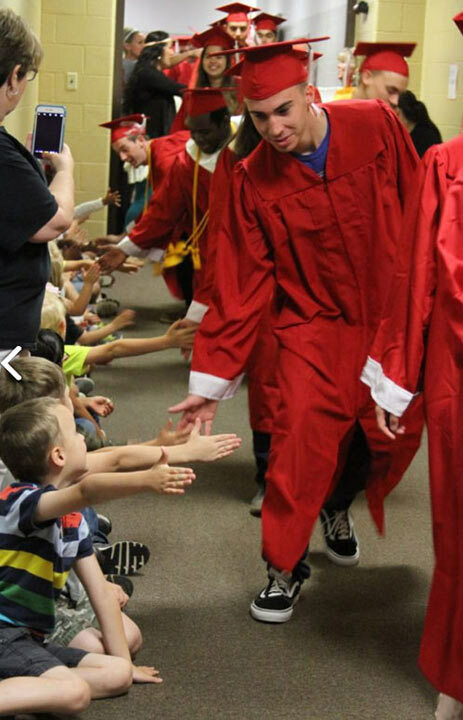 VAN, TX -- As high school graduation nears, students are celebrated for their accomplishments. 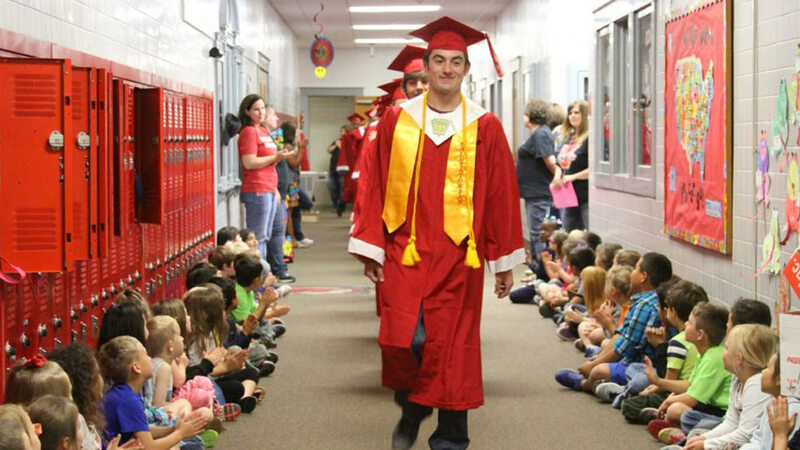 But one Texas town took that a step further - and gave the graduating seniors the rock-star treatment. 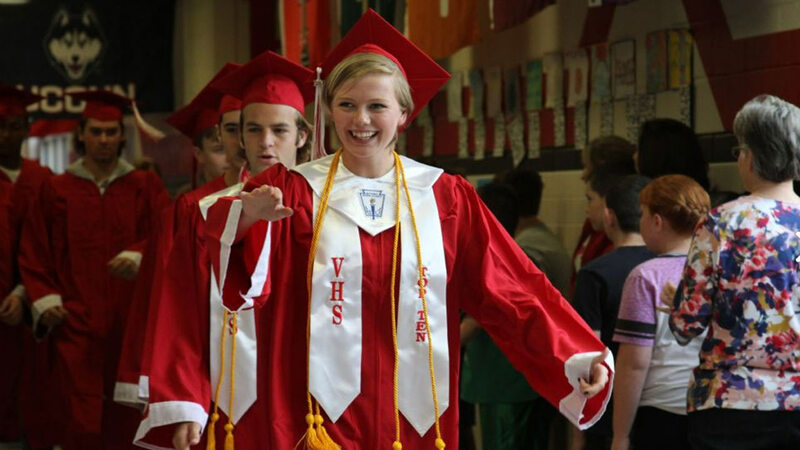 More than 150 seniors at Van High School strolled the hallways in their caps and gowns as elementary and middle school students cheered them on in what's known as the "Senior Walk." 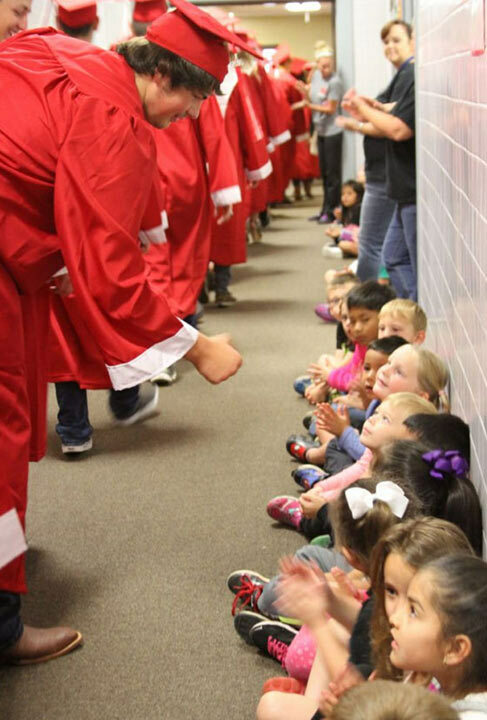 The event, which the school district is considering making a new tradition, is hoped to inspire younger students to aim for college after graduation. Photos of the event were shared on the Van Independent School District Facebook page, and have since gone viral. 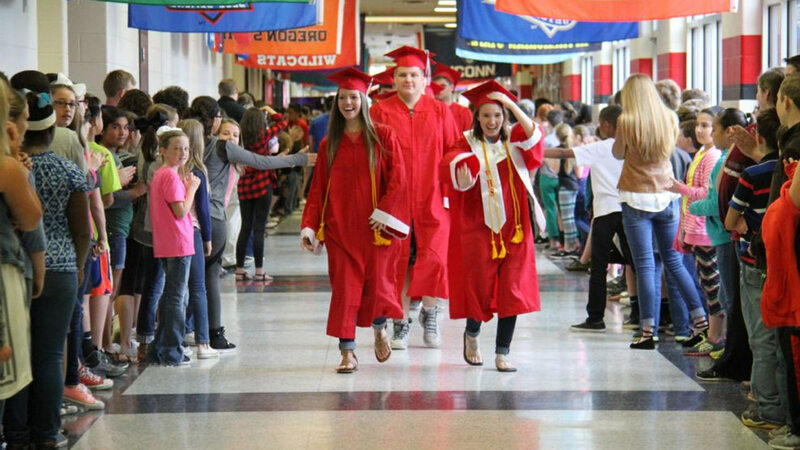 Van High School Principal Jeff Hutchins told ABC News that he and Superintendent Don Dunn, who oversees students from pre-kindergarten to twelfth grade, came up with the "Senior Walk" after they saw a similar activity on social media. "We just thought the idea really fit into our central theme that 'after high school comes college' and we wanted those little kids to place a face on that dream," Hutchins explained. "And so to see those seniors walk through the campuses, we just felt that it would be an impressionable moment for those students." 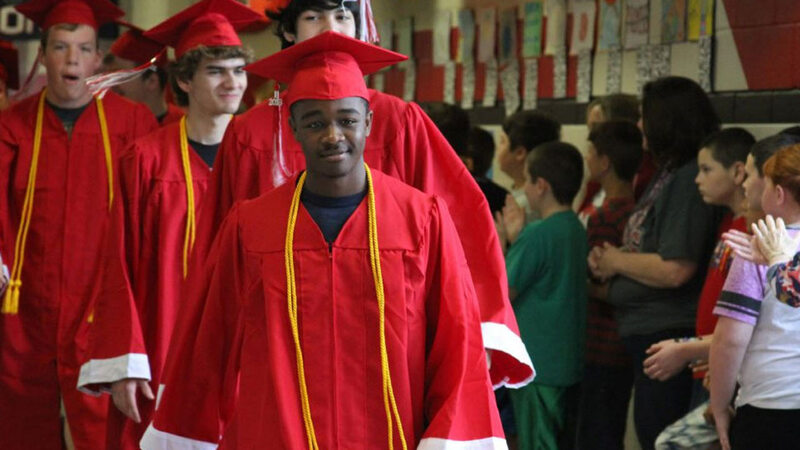 Read more about the 'Senior Walk' on ABCNews.com.